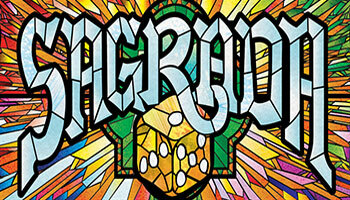 In more detail, each player builds a stained glass window by building up a grid of dice on their player board. Each board has some restrictions on which color or shade (value) of die can be placed there. Dice of the same shade or color may never be placed next to each other. Dice are drafted in player order, with the start player rotating each round, snaking back around after the last player drafts two dice. Scoring is variable per game based on achieving various patterns and varieties of placement...as well as bonus points for dark shades of a particular hidden goal color. You are an artist competing with fellow artists to create the most beautiful stained glass window in the Sagrada Familia. 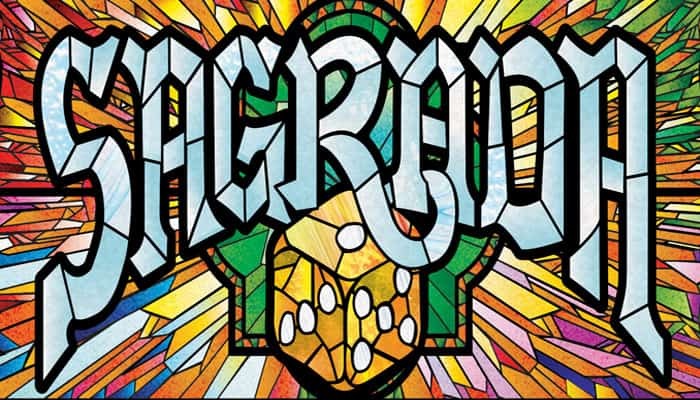 Your glass pieces are represented by dice, which have a color and a shade - indicated by the values on the dice (the lower the value the lighter the shade). Each round, players will take turns drafting from a pool of dice, placing these dice on their window. 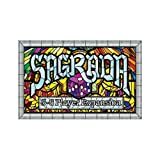 When playing Sagrada by yourself, you're trying to beat a Target Score. The Target Score is the sum of the values from all the dice on the Round Track at the end of the game. Favor Tokens are not used. 2 Public Objectives and 2 Private Objective are placed face up.